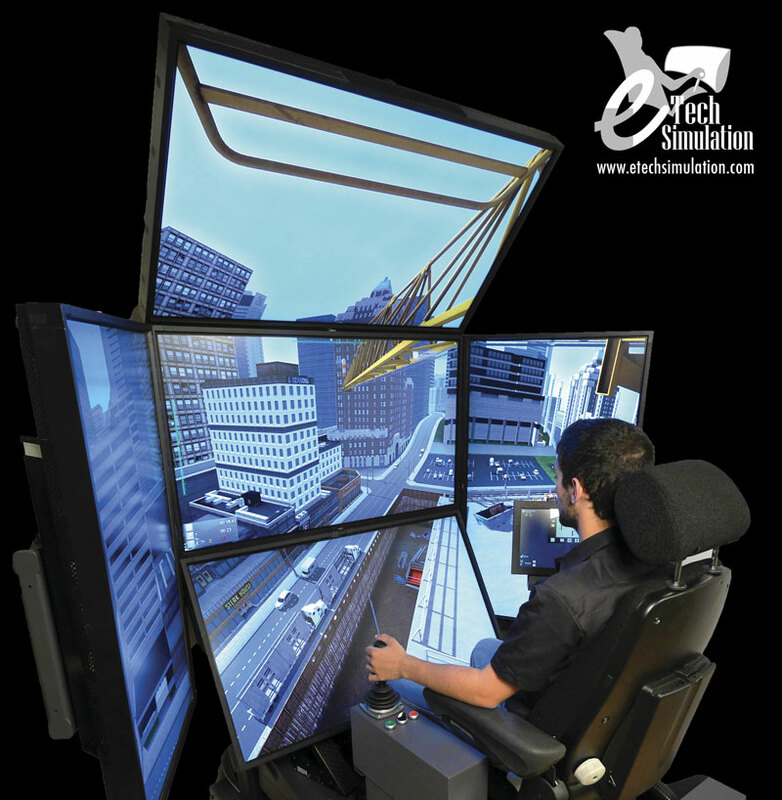 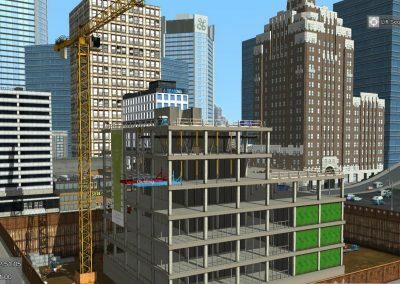 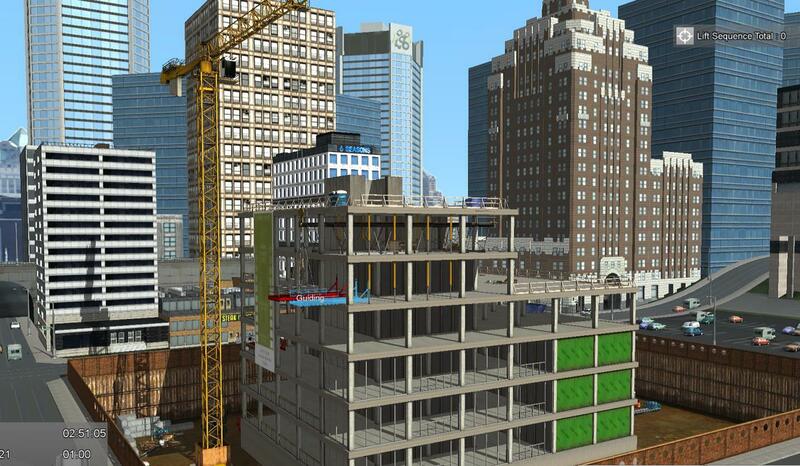 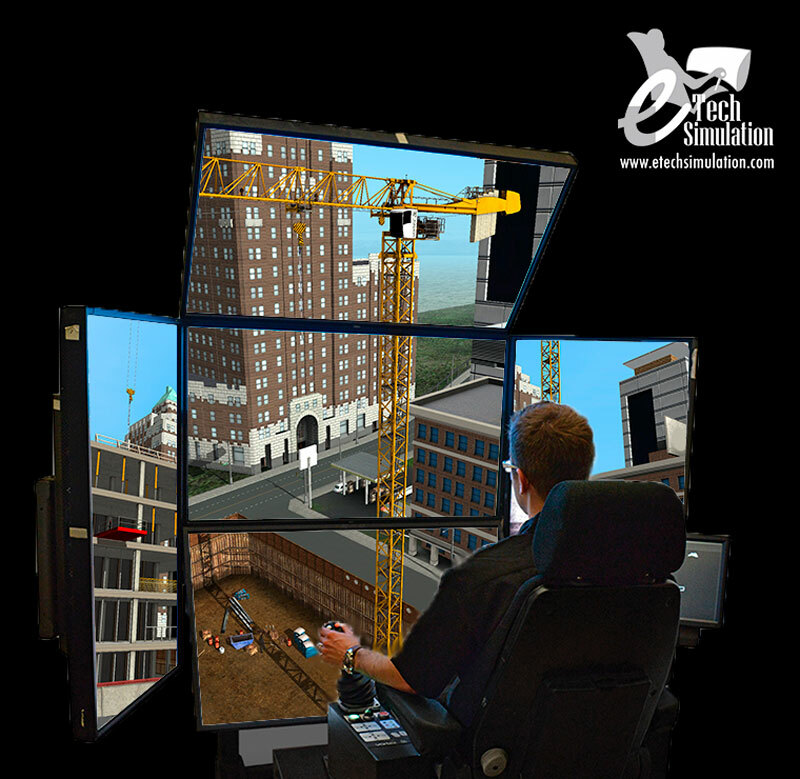 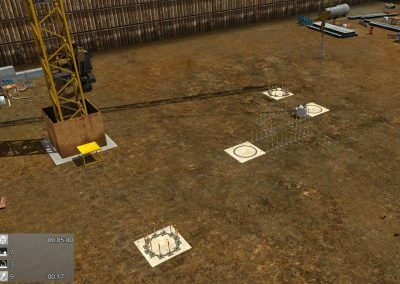 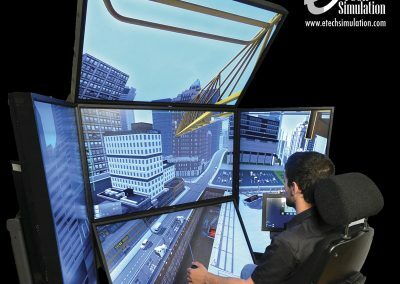 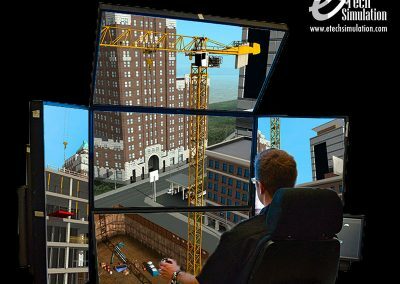 e-Tech´s Tower Crane Premium Simulator recreates a 12 tons crane, the height of the crane can be setup between 43.7 and 70.4 mts. 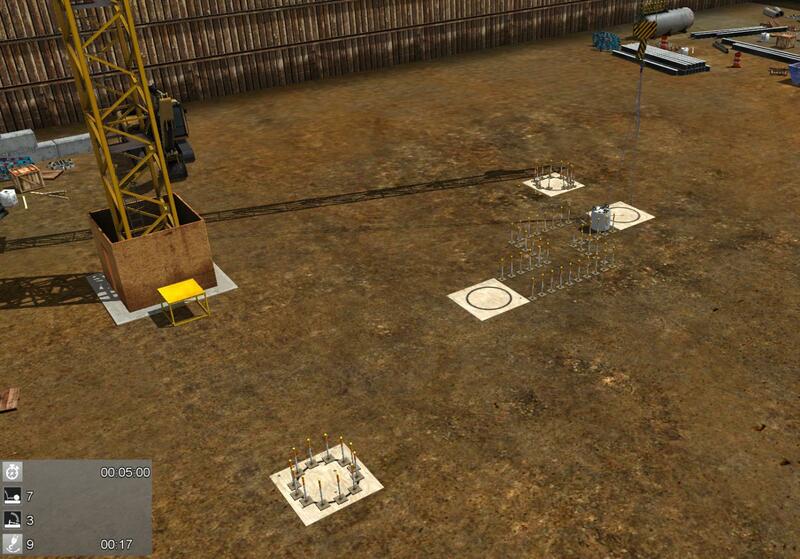 The operation and movement of the cables, the Trolleying and the Jib parts accurately simulated a real life crane. 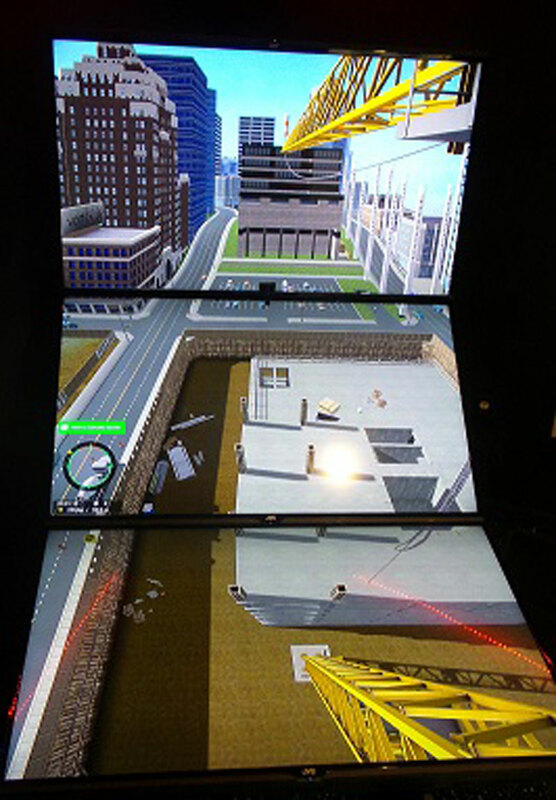 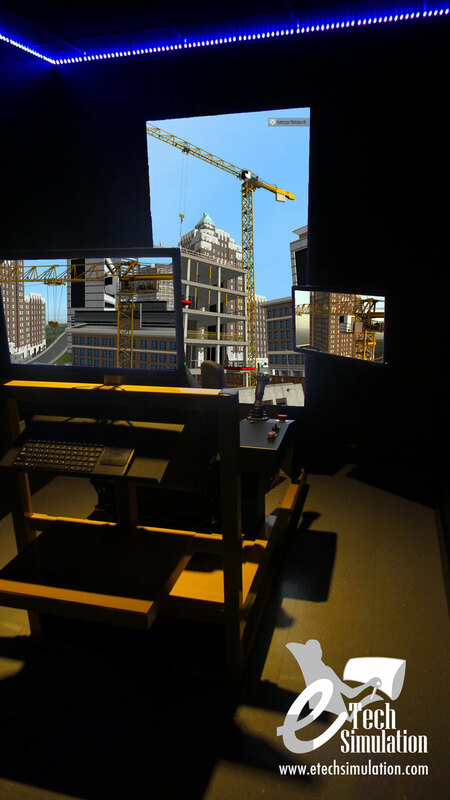 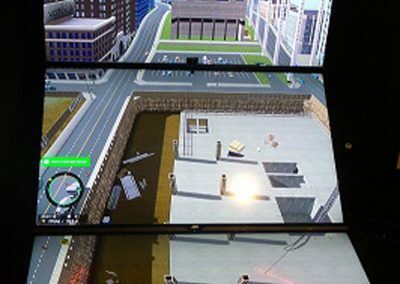 The simulator includes a visual point located at the Trolley, which allows a point of view from the top of the Jib, it also simulates the sounds and security system of the real crane . 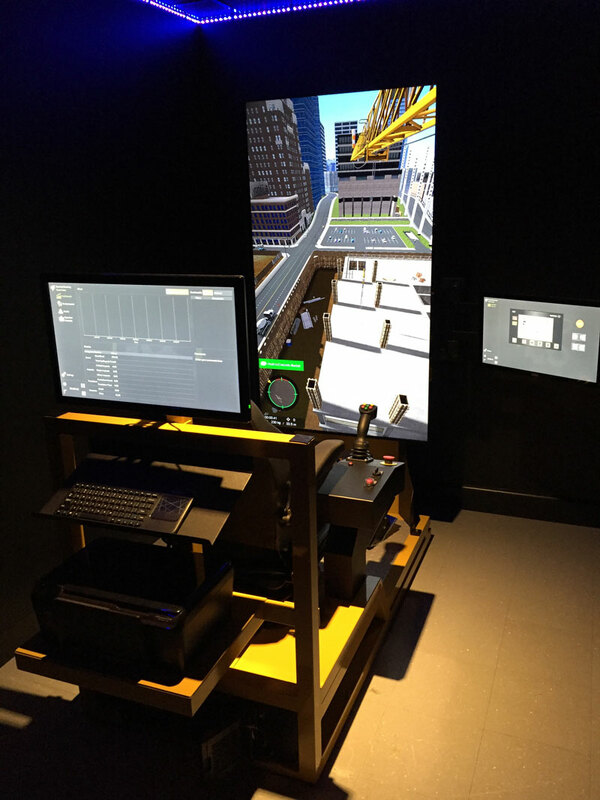 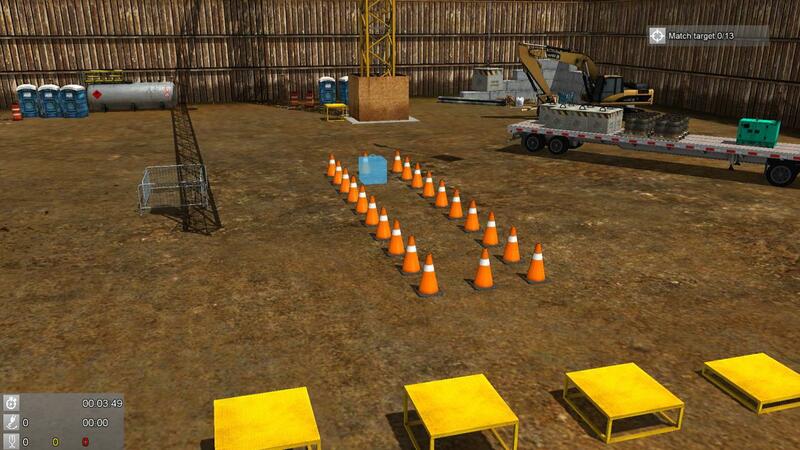 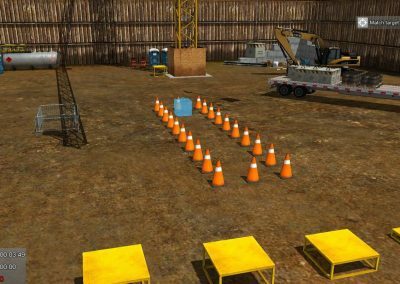 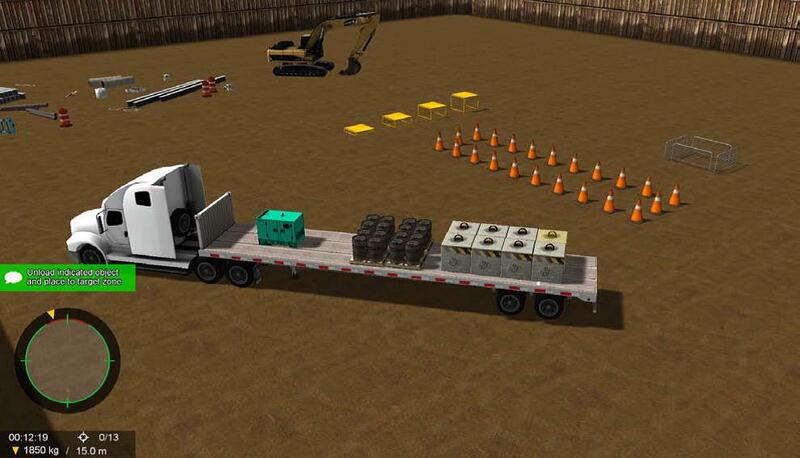 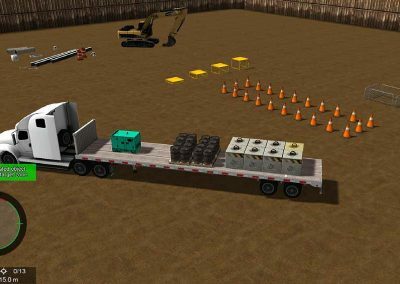 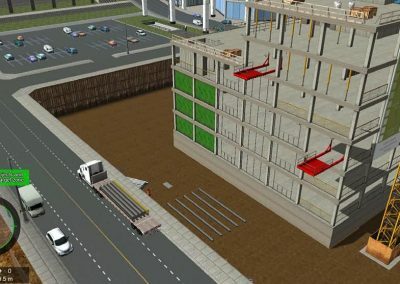 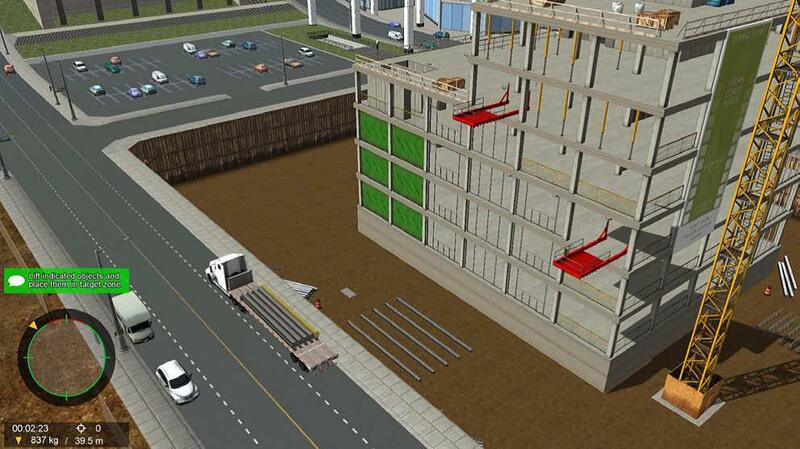 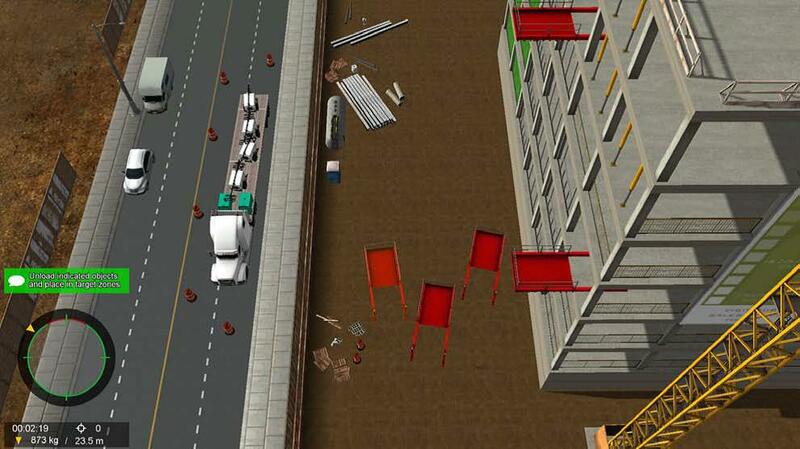 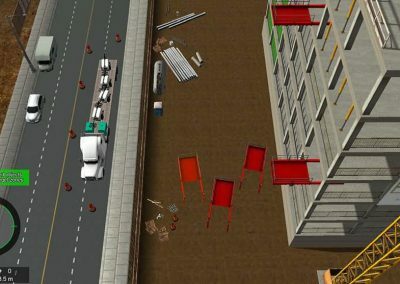 The virtual environment is designed for the trainee to be able to identify the correct protocol when facing dangerous situations, overloading, bad weather and equipment failures. 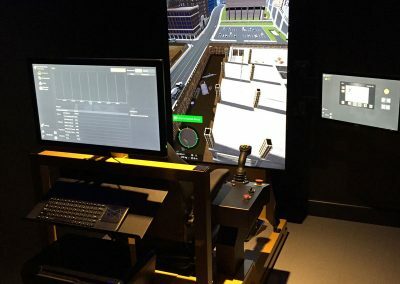 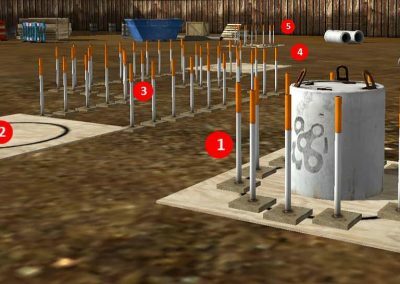 The simulator generates a report after each exercise and the instructor can review the exercise with the trainee after each practice. 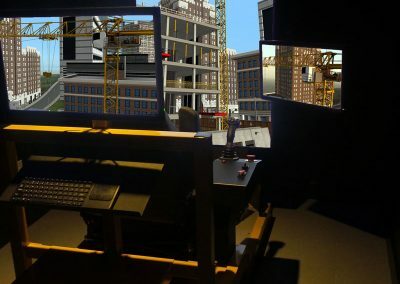 During the exercises the instructor change the date and day time setup (the simulator will recreate the correct shadows depending on the daytime), as well as weather changes among others.